Description Sepia photo scanned as b & w. On front: S.P. 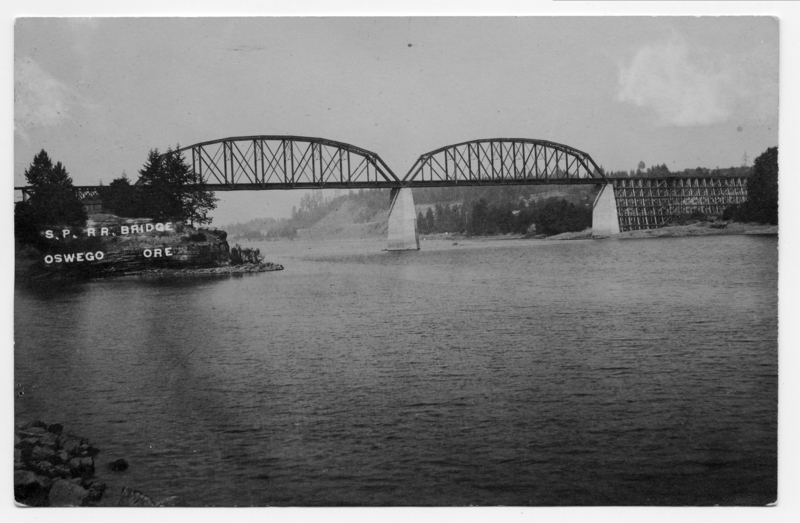 RR Bridge. Oswego, Ore.